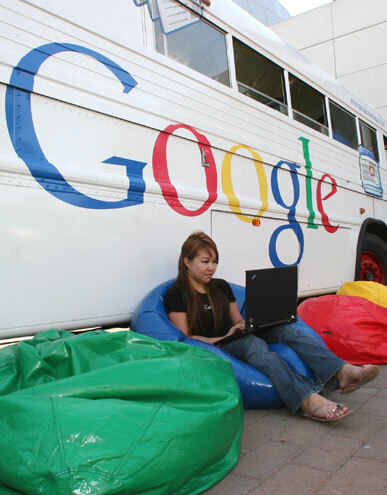 A humble little old bus left Google's Mountain View, CA campus Monday for a 5,000-mile trek across the US to visit 10 college campuses, beginning with southern California's USC. 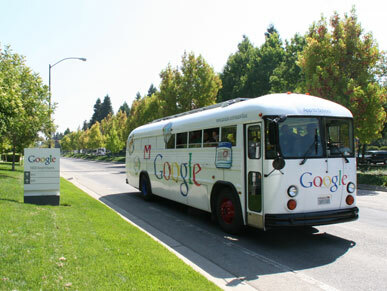 Of course, the 30-year-old bus was converted to biodiesel, updated with solar panels and other green features, stocked with tons of technology and wireless Internet, and given an adorable "Google" paint job. It departed on schedule, chock full of Google Apps for Education demos and tech experts (riding along or flying to meet the bus) with new ideas to discuss with students and faculty. Jeff Keltner (below), Business Development Manager, Google Apps, was on board. Campus Technology chatted with him before the bus left. 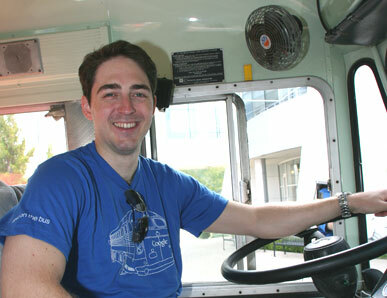 What was behind the decision to make a Google Apps bus tour? We've been selling Google Apps to universities for about two years now and have over two million users... at thousands of institutions. We formed an advisory board with six of our top customers and have had very productive dialogs with CIOs and campus administrators. But we began to realize we weren't having as much dialog as we would like with the actual end users of our products -- students and faculty. So we decided to go, literally in this case, where the rubber meets the road. We're going to drive this biodiesel bus to ten college campuses, park on each for a day, set up a tent with demo stations outside, and talk to end users about what we're doing, see what they're doing with our products, and show them some things they may not have been aware of. So this is not so much a "talk to the CIOs" tour as a "meet the end users" road trip? At all the ten schools we already know the CIOs, who have chosen to offer these services to their students. So this is a chance to go talk with the students and faculty directly. It's not to say that this will replace our communications with CIOs -- that's still very important for us. But it's also important for us to understand what people are doing with our tools at an end user level, especially as we think about how we build the next feature set, the next tool. For example, we're launching video [this week], which is going to be an internal video sharing tool where I can share a video with people at my school or with a group of users. And we look to our users to help point us in the right direction for that kind of innovation, and what would be most useful for them next. One of the things I've always found when we talk to our end users, is they surprise us with how creative they are in using our products in new and different ways. So we're really excited to go out, find out what they're doing, show them some more things they can do, and share some of the stories we find about how people are using Google Apps. 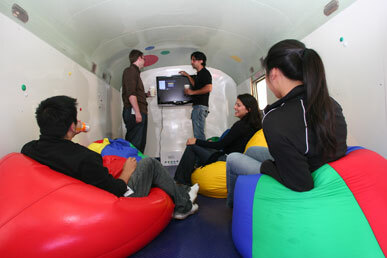 How people are using Google Apps on campuses? What's especially notable or beneficial? One thing is that students are bringing a level of technology expectations to campus that's really unprecedented. Think about their use of FaceBook or of online tools and social networks. Schools are looking for a way to provide the tools that their users are already using outside of the school context. I see Google Apps as being a big part of that. Most students already use Gmail, so for schools to be able to provide them their .edu address with the experience the students have already chosen, known, and loved, I think is a real benefit. Another is for institutions to be able to provide the kind of technology that schools can no longer afford to build in house. Social networks, for example, evolved on the consumer Internet, and we see a lot of new applications in the consumer space. So we view our role as helping to bring some of that technology inside the institutional bounds without forcing the institutions to spend so much money to build, maintain, and develop that kind of software and infrastructure. The ability to innovate on technology and do it at a really low cost point is very valuable for schools. Is it Google's aim to help schools understand how to best use and integrate these kinds of technologies effectively, and if so, how would you do that? We want to work in conjunction with the schools to think about this. One of the big unanswered questions in higher ed is how to use technology to move the teaching and learning process ahead. Among the really valuable things that we're seeing from schools using Google Apps is that they're taking the resources they used to spend maintaining an infrastructure, and going out and working with faculty, saying, "Here's the technology. What can we do to improve the classroom experience? What can we do to improve the learning experience?" This is going to a place where most schools have not been able to afford to go as much as they'd like. So it's more of a partnership. And I don't think we want to come out and say, "Here's how to use the technology." Because whenever I do that I feel very much like I'm limiting schools, putting my technology in a box for them. And I don't want to put them in a box, because they have a lot of great ideas that I don't. But at the same time I think it's very helpful for us to be engaging the community and saying, "Here are some ideas, and if you have questions let's create a dialog about how to really drive forward." As you literally drive forward, visiting the ten schools over the next couple weeks, will you be posting photos and blogging so we can follow you through your tour stops? Yes, we've got a Web site up for it and there will be a blog. 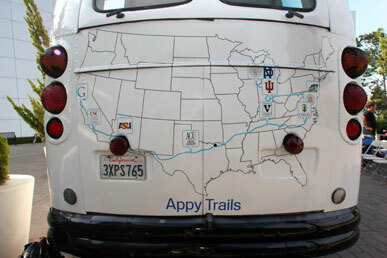 We'll be posting updates from our stops [http://www.google.com/apps/edu/bus/index.html]. And it's not going to be just our voice - it will be student and faculty voices as well!